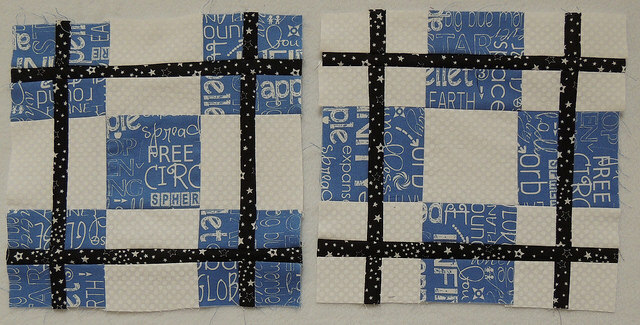 As usual, many of you have seen my first pair of blocks during the sneak peek and in the directions … but to make it official for the count, here they are again. 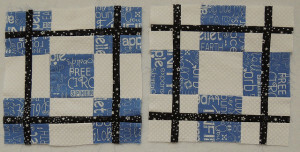 Consider this post a reminder that even if you email me with photos of your blocks for the virtual quilt, you have to post them in their own blog post to make it easier for me to count them and track them (during the send & receive process). I hope to make more, but given everything else on my list this month, it seems unlikely … though I really want to make a pair using a blue plaid. I am donating my chances this month.